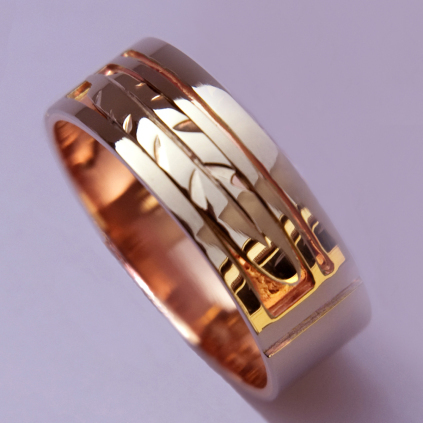 Prices are indicative and depend on ring sizes, the current gold or silver price, and the current exchange rates. In earlier times, the Eagle doodem used to be once one of the smaller Leadership clans in Anishinaabe society. However, the number of Eagle doodem members grew when new members whose paternal ancestors were Euro-Americans were assigned to this doodem. Nowadays the combined Eagle clans (Giniw, Migizi) are among the most numerous Anishinaabe doodemag across the United States and Canada. 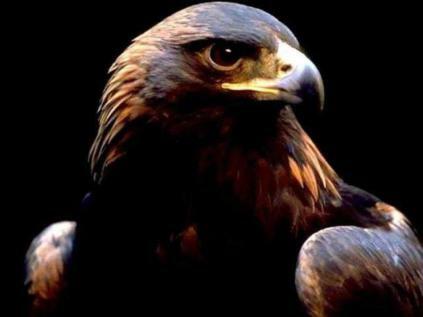 Giniw, the War or Golden Eagle, is an Omishoomisimaa (Grandfather) who is looked upon as protector of Ziigwan, the Spring Time Spirit of the East, and as a Spirit that watches over all women of the Nation. He represents closeness to GICHI-MANIDOO, the Great Mystery... Giniw is honored for his vision, as he sees the inclusive whole. Like the bald eagle, he is the prayer carrier and messenger of the Anishinaabe Peoples. As he soars across the skies, one knows he is carrying the prayers to the Great Mystery.